In 2010, Sir John Lawton published his review of England’s wildlife sites and ecological network – ‘Making Space for Nature’. It highlighted a simple message: what needs to be done to rebuild nature in England can be summarised in four words: more, bigger, better and joined. 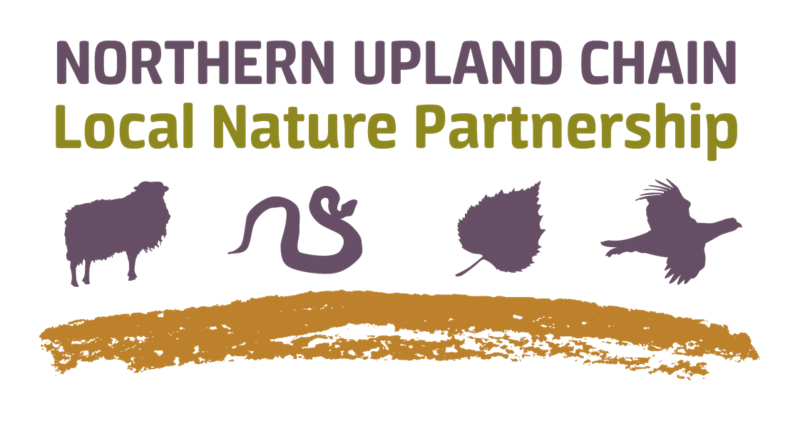 This philosophy is at the heart of what the Northern Upland Chain Local Nature Partnership is trying to achieve. Working together we have carried out a habitat mapping project, across the whole of the area covered by the Local Nature Partnership. We used our own local datasets where we had them, or our local knowledge, or local partners’ data – or otherwise filled in the knowledge gaps with national datasets. We are extremely grateful to everybody who was able to share data and knowledge with us. 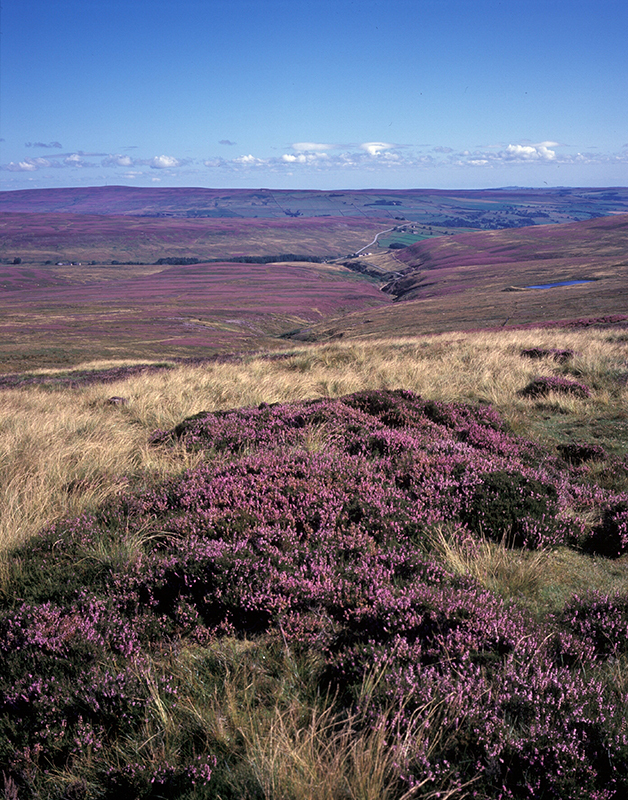 The total coverage of all the mapped habitats is about 300,000 hectares – but some habitats may overlap (or be considered partly two different habitats at the same time; heathland and bog sometimes are like that). The next stage was to use this data to map ‘habitat networks’. A habitat network is a set of separate areas of habitat that are close enough together to connect in some way. These connections would allow a particular species to be able to move between each individual patch of habitat. Mapping a habitat network allows us to identify opportunities to strengthen existing areas of habitat, or to join-up separate networks – making them more resilient. the smallest size at which that habitat would still function properly – which we called “core habitat”. smaller habitat patches that were still big enough to act as “stepping stones”. Stepping stones are useful for species movement through a landscape – like service stations perhaps! the “buffer zone” or “zone of influence” for each habitat – the distance around it through which species can easily move. The final stage was to use Geographical Information Systems (GIS) to map the 8 habitat networks. To do this we selected the ‘core habitat’ patches and the ‘stepping stones’ that were within 10m of them. We then added the appropriate ‘buffer zone’ around these to show the networks for that habitat. Where the ‘buffer zone’ for one area overlaps with another, it creates a single network. One of the great benefits of working together – apart from the massive landscape area we are operating across – is that this project ensures that there is no ‘edge’ between us. Nature doesn’t stop our administrative boundaries! Mapping these networks helps us to focus conservation work on sites where we can have the most positive impact on wildlife – by strengthening or linking together networks, or focusing on some of the most isolated core habitat and stepping stones and looking what can be done in those areas. The map (at the bottom of the page) is free to use. It can be used to identify anything from possible habitat enhancement opportunities on a particular farm holding, through to supporting landscape-scale funding bids. What the map shows are those areas where there is existing habitat or the likely potential for creating/restoring more of that habitat. To use the map, select the habitat types that you are interested in (click on the icon in the top right hand corner) and then zoom in to the relevant part of the map. The key thing to remember is that – just because a particular piece of land lies within a habitat network – that does not automatically mean it is suitable for conversion to that habitat. There is still no substitute for local knowledge of a site! We are continuing to refine and expand our data. One of the projects we would like to do next is to look at the overlap between the networks for woodland and grassland, or woodland and peatland, and to think about habitat mosaics in those overlaps.